Art and lettering by Cindy Murata. 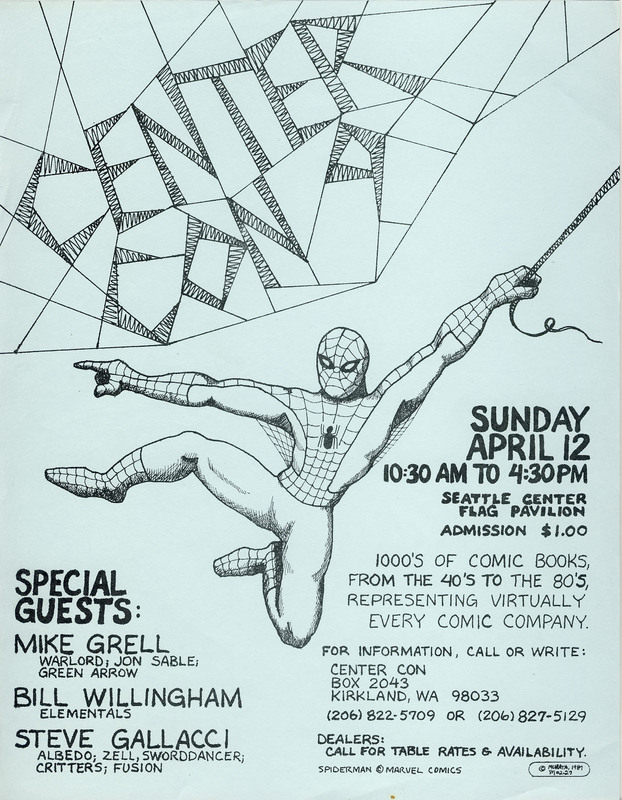 This was Mike Grell's first appearance at Center Con. And by now, we are using the entire Flag Pavilion to accomodate our dealers and guests. 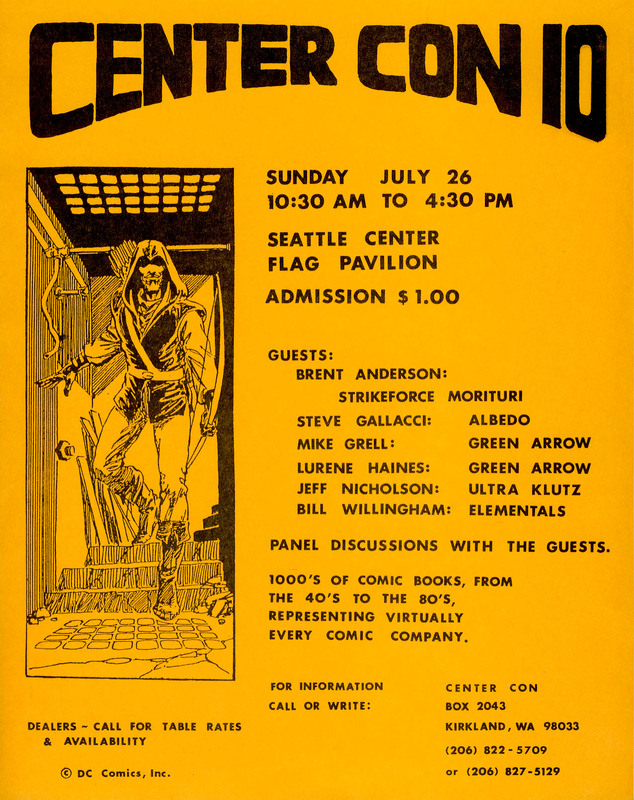 Art by Mike Grell. Now we've added an area for panel discussions with the guests.